PassMark Software® conducted objective performance testing on eight (8) security software products, on Windows 7 Ultimate Edition (64-bit) during January 2014. 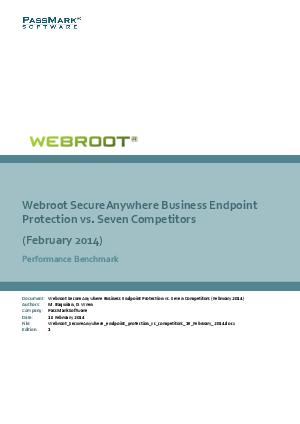 This report presents our results and findings as a result of performance benchmark testing conducted for these endpoint security products. Testing was performed on all products using thirteen (13) performance metrics. These performance metrics are as follows.